One Owner, Loaded up "Platinum" trim with a Power sunroof and Off road package! 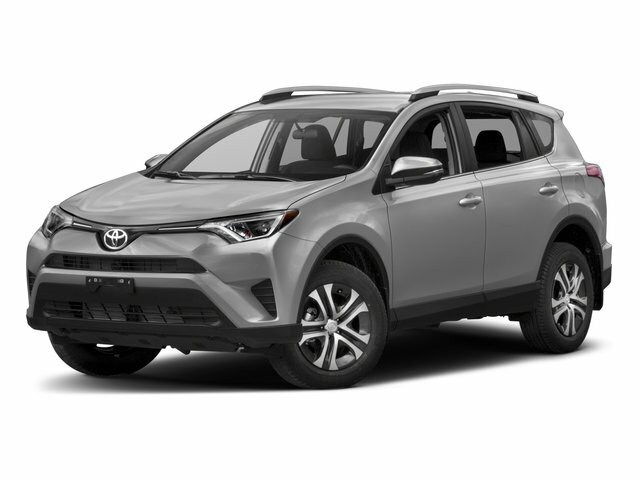 One Owner, Clean Carfax, Rear View Camera, Trailer Tow Package, Bedside TRD Off Road Decal, Fabric Seat Trim w/TRD Off Road Package, LED Front Fog & Driving Lights, LED Headlights w/Smoked Housings, TRD Off Road Floor Mats, TRD Off Road Package, Wheels: 18 x 8J Split 5-Spoke TRD Off Road Alloy. Clean Carfax, One Owner, New Brakes, New Tires, Heated Seats, Backup Camera, Navigation, Sunroof, Leather Seats. Clean Carfax, 1 Owner, Local Trade, Backup Camera, Heated Seats, Automatic temperature control, Spoiler, Wheels: 18" Sport Alloy. Located at Crossroads INFINITI of ApexOne Owner, Clean CarFax, AWD, Heated Seats, Backup Camera, Navigation, Sunroof, Leather Seats, Tundra Limited, 4D CrewMax, 5.7L 8-Cylinder SMPI DOHC, 6-Speed Automatic Electronic with Overdrive, 4WD, ABS brakes, Alloy wheels, Compass, Electronic Stability Control, Front dual zone A/C, Heated door mirrors, Heated Front Bucket Seats, Heated front seats, Illuminated entry, Low tire pressure warning, Remote keyless entry, Traction control. Clean Carfax, One Owner, Heated Seats, Backup Camera, Navigation, Sunroof, Leather Seats. One Owner, Clean Carfax, Chrome Wheels, Heated & Cooled Seats, Navigation, Anti-Theft Immobilizer w/Alarm, Bed Extender, Blind Spot Monitoring Lane Change Assist, Brushed Stainless Steel Stepboards, Exhaust Tip, Front & Rear Clearance Backup Sonar, Illuminated Entry System, Limited Premium Package, Power Door Locks, Power Windows w/Front Auto Up/Down, Skid Resistor Bedliner w/Deck Rail System, Truck Exterior Package, Tundra Package #1. 2018 Toyota Camry 2.5L I4 DOHC 16V 8-Speed Automatic 4-Wheel Disc Brakes, 6 Speakers, ABS brakes, Active Cruise Control, Blind spot sensor: Blind Spot Monitor w/Lane Change Assist warning, Carpeted Floor Mats & Trunk Mat Package, Compass, Door Edge Guards, Dual front impact airbags, Dual front side impact airbags, Electronic Stability Control, Front dual zone A/C, Heated door mirrors, Heated front seats, Illuminated entry, Knee airbag, Low tire pressure warning, Panoramic Roof, Power driver seat, Protection Package (Q1), Rear Bumper Applique (Clear), Remote keyless entry, Security system, Traction control, Wheels: 8.0J x 18" Chrome Machined-Finish Alloy.CARFAX One-Owner. Clean CARFAX. Clean Carfax, One Owner, Sunroof, Backup Camera, 6 Speakers, Automatic temperature control, Radio: AM/FM Stereo w/7 Touch-Screen Display. One Owner, Clean Carfax, Backup Camera, Moonroof Package, Radio: Entune Audio Plus w/Connected Navigation. One Owner, Clean Carfax, Backup Camera, Navigation, Sunroof, Auto Headlights, Entune App Suite, Power Tilt/Slide Moonroof, Radio: Entune Premium JBL AM/FM/CD w/Nav & App Ste. One Owner, Nice SUV with the XLE upgrades. Clean Carfax, TRD Pro Package, Heated Seats, Leather Seats, Navigation, 4WD, Blind Spot Monitor w/Rear Cross Traffic Alert, Class IV Hitch Receiver, Cruise Control, Dual Zone Automatic Climate Control, Power Sliding Rear Window w/Privacy Glass, Projector-Beam Headlights, Rear Parking Assist Sonar, Rigid Industries LED fog lights, Smart Key w/Push Button Start, Tow Package (TR), Trailer Sway Control, TRD-Tuned Off-Road Suspension (TR). Heated Leather seats, Moon-roof, 17 inch alloy wheels, Rear view camera, Push button start, Key-less entry, LOCAL trade!! Nice SUV with a Sunroof, Black leather, One Owner in great shape! Clean Carfax, 1 Owner, Local Trade, New Tires, Sunroof, Black Fabric Seat Trim. 1 Owner, Local Trade, Backup Camera, Leather Seats, Navigation, New Brakes, Sunroof, Black/Graphite w/Softex Synthetic Leather Seat Trim. One Owner, Clean Carfax, Black w/Fabric Seat Trim, Exterior Parking Camera Rear, Remote keyless entry, Steering wheel mounted audio controls! !